Innovators or companies that target nonconsumption have the potential to develop businesses that can create enormous wealth for their shareholders and can also have transformative developmental impacts. In 1998, Mo Ibrahim decided to start a wireless telecommunications company in Malawi, Zambia, Sierra Leone, and Congo, some of the poorest countries in the world. Seven years later, and after building a business model targeted at nonconsumption, he sold his company for $3.4 billion. Mr. Ibrahim’s company, Celtel, transformed the telecommunications landscape in every country where it operated. While building a company that targets nonconsumption can be very rewarding, it can also be a very difficult proposition. Here are eight attributes that entrepreneurs and managers should keep in mind as they look to build these types of businesses. Business models and capabilities that target nonconsumption – A majority of the innovations and business models that exist today are targeted at existing consumption. When analysis and consumer reports use terms like rising middle class, increasing disposable income, and demographic dividend, they are mostly referring to existing consumption. Nonconsumption is characterized by struggle—it’s the inability of an entity (person or organization) to purchase and use (consume) a product or service. Sudanese billionaire, Mo Ibrahim, tapped into this struggle when he built Celtel. An enabling technology that provides improving levels of performance at progressively lower cost. Harvard Business School Professor, Clayton Christensen, defines technology as any process that converts inputs of lower value into outputs of greater value. Enabling technologies such as the Internet, smartphones, and the Toyota Production System can provide a competitive advantage to companies as they build market-creating innovations. 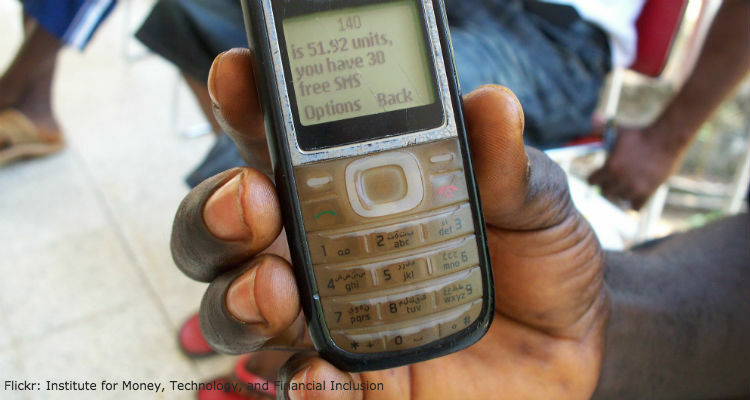 Celtel innovated in pay-as-you-go scratch cards for its customers because company executives knew that the average African could not afford expensive monthly payments. A new value network – A value network is the context in which a company defines its cost structure. For a product to go from farm to grocery store, there are several components in its value chain that will increase its cost. Because most businesses are targeted at existing consumers, their cost structures prevent them from targeting nonconsumers. Creating a new value network enables companies to redefine their cost structure so that their products can be afforded by nonconsumers. An interdependent architecture – Whenever an unpredictable interface exists between two components in a company’s business model, the company should develop an interdependent architecture in order to provide a solution that fits the needs of its customers. For example, if a company manufactures cups and cannot depend on electricity from the national grid, the company should provide its own electricity so as to develop a more predictable interface. At the onset of creating a market, many market-creating innovators must develop an interdependent architecture for many interfaces in their business model because of predictability issues. Celtel, for instance, had to provide power to the cell towers they built in order to provide mobile phone service to its customers. Capital that is patient for growth and impatient for profits – When capital is patient for growth and impatient for profits, it means that as opposed to simply scaling the business, scaling the business profitably is of utmost importance. When a business scales its operations, it typically scales both the good and the bad, and as such, capital that is patient for growth has more time to figure out the inefficiencies in its business model before scaling. Capital that is impatient for profits tries to figure out a business’ profit formula as fast as possible so that it can scale both the business and the profits. An emergent strategy – When targeting nonconsumption, innovators typically employ an emergent strategy because they are going after markets that are undefined. Deliberate strategies, on the other hand, are typically used when companies know the needs of the market. Managers and entrepreneurs must be willing to learn and modify their intended strategies based on the feedback they get from the market. Executive support – Businesses that target nonconsumption are often unpopular because they usually start out at lower margins, require capital, and target undefined markets. These sorts of businesses therefore require support from the CEO or someone high up in the executive team in order to keep them alive, as the typical corporation’s resource allocation process will not prioritize nonconsumption. The ability to create jobs faster than the forces of efficiency can eliminate them – Market-creating innovations are distinct in their ability to create many jobs because of their relentless focus on nonconsumption. When you you create a business that targets a segment of the market that has never been targeted, you have to hire people to make, distribute, sell, and service the product. As such, it has a significant impact on job creation. Targeting nonconsumption is one of the most effective strategies for corporate renewal and, in effect, economic development.